Some challenging studies are experimentally applied for characterizing parameters in Proctor compaction tests. Compression of a fill is mechanically done in Compaction process. Compaction is a physical process which gets the soil into a dense state. Improving the shear strength and decreasing the compressibility and permeability of the soil can be done with this physical process. Support Vector Machine (SVM) is a popular method due to its performance today. This method is commonly employed in the regression analysis as well as being used in the classification process. In this study, SVM was employed to predict of compaction parameters (maximum dry unit weight and optimum moisture content) without making any experiments in a soil laboratory. In the study, more than a hundred compaction data collected from the small dams in central Anatolia region was employed. In the study, R errors are satisfied (0.92 and 0.89) for SVM models. Consequently, the proposed regression analysis with SVM is useful for model design of the projects in where there are limitations as financial and temporal. 1. Holtz R.D, Kovacs W.D, Compaction, An Introduction to Geotechnical Engineering, New Jersey, USA: Prentice Hall, 1981, pp 109–161. 2. Jumikis A.R, Geology of Soils of the Newark (N.J.) Metropolitan Area, Journal of the Soil Mechanics and Foundations Division, 1958, 84(2), 1–41. 3. McRae J.L, Index of Compaction Characteristics, Symposium on Application of Soil Testing in Highway Design and Construction, 100 Barr Harbor Drive, PO Box C700, West Conshohocken, PA 19428-2959: ASTM International, 1959, pp 119-127. 4. Joslin J, Ohio’s Typical Moisture-Density Curves, Symposium on Application of Soil Testing in Highway Design and Construction, 100 Barr Harbor Drive, PO Box C700, West Conshohocken, PA 19428-2959: ASTM International, 1958, 111-118. 5. Johnson A and Sallberg J, Factors influencing compaction results, Washington, DC: Highway research board bulletin no. 319, 1962; pp 171. 6. Al-Khafaji A.N, Estimation of soil compaction parameters by means of Atterberg limits, Quarterly Journal of Engineering Geology and Hydrogeology, 1987, 26(4), 359–368. 7. Sridharan A, Nagaraj H.B, Plastic limit and compaction characteristics of finegrained soils, Proceedings of the Institution of Civil Engineers - Ground Improvement, 2005, 9(1), 17–22. 8. Sridharan A, Gurtug Y, Compressibility characteristics of soils, Geotechnical & Geological Engineering, 2005, 23(5), 615–634. 9. 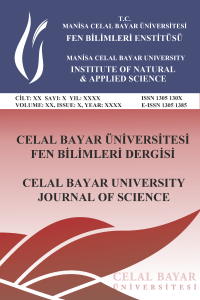 Kayadelen C, Estimation of effective stress parameter of unsaturated soils by using artificial neural networks, International Journal for Numerical and Analytical Methods in Geomechanics, 2008, 32( 9), 1087–1106. 10. Günaydın O, Estimation of soil compaction parameters by using statistical analyses and artificial neural networks, Environmental Geology, 2009, 57(1), 203–215. 11. Vapnik V, An Overview of Statistical Learning Theory, IEEE Transactions on Neural Networks, 1999, 10(5), 988–999. 12. Amasyalı M.F, Makine Öğrenmesine Giriş, https://slideplayer.biz.tr/slide/2285047/, 2006 (accessed July 15, 2018). 13. Smola A.J, Schölkopf B, A tutorial on support vector regression, Statistics and Computing, 2004, 14(3), 199–222. 14. Burges C.J.C, A Tutorial on Support Vector Machines for Pattern Recognition, Data Mining and Knowledge Discovery, 1998, 2(2), 121–167. 15. İnce H, İmamoglu S.Z, Destek Vektör Regresyon ve İkiz Destek Vektör Regresyon Yöntemi ile Tedarikçi Seçimi, Doğuş Üniversitesi Dergisi, 2016, 17(2), 241–253.